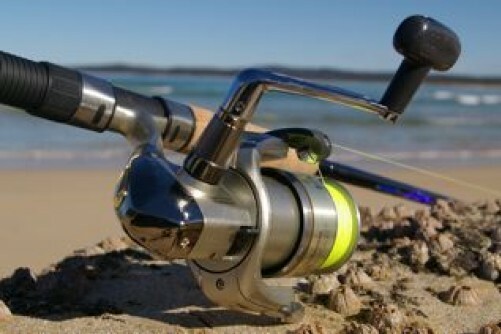 Sydney is unique in the sportsfishing world whilst Cairns is famous for its “Grander-Blacks” but. Where else can you battle Black, Blue and Striped Marlin, Yellowfin Tuna, Albacore, Mahi Mahi and even Wahoo, within 10 nautical miles of the city centre? 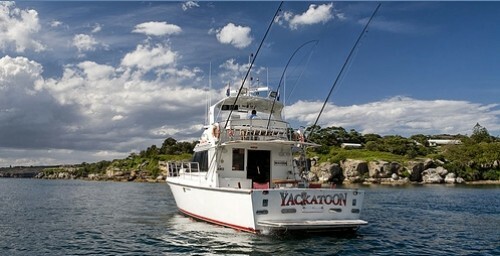 Yackatoon is based at Middle Harbour in Sydney Harbour, just 3 nautical miles from the open sea. We can arrange to pick you up at a number of locations around the harbour, but recommend Balmoral Wharf so you get fishing sooner. 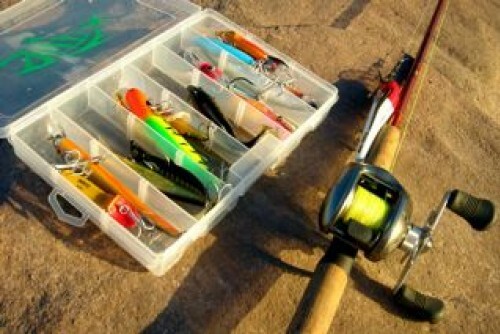 If you are new to game fishing we’re here to provide friendly, helpful instructions. “Nothing gives our crew more pleasure, than to help someone catch their first Marlin or Tuna.” If you’re an old hand we may be able to show you some new tricks and we also like to learn a few ourselves. What can you expect to catch & when? Marlin, Mahi Mahi, Wahoo, Tailor, Australian Salmon, Kingfish, Yellowfin Tuna, Albacore, Yellow Tail Kingfish and more. Water currents & temperature has an influence on what can be captured at a particular time of year.The following seasons is a general guide only. Summer – November to March Marlin – predominantly Stripes and Blacks but there’s also the likelihood of a Big Blue Mahi Mahi – plentiful around offshore buoys and fish traps Wahoo – an infrequent visitor but caught in reasonable numbers during the season, Kingfish – both in the harbour, and off-shore reefs. Autumn/Fall – April to May Marlin – numbers starting to dwindle but they can surprise right through winter. Mahi Mahi – depending on water temperature. Kingfish – both in the harbour, and off-shore reefs. Winter – June to October Yellowfin Tuna – caught trolling and by cubing in a berley trail Albacore – “chicken of the sea” caught trolling and cubing Light Tackle – Australian Salmon, Tailor (Bluefish), Yellow Tail Kingfish, smaller Tunas. YACKATOON encourages Marlin tag and release, and all other fish are subject to NSW Fisheries sizes and bag limits. We also do weddings, wedding photos, corporate days, harbour cruises, whale watching you name it. Maximum Passengers: 11 (recommended 8) upto 34 (6 fishing) in the harbour. Licenced for 34 in the harbour. Inclusions: We use custom rods by two of the world’s leading rod designers, Jack Erskine and Ian Miller. Reels – Penn International Lines IGFA class 15, 24, 37 & 60kg (Smaller on request) Lures by Zacatak, Pakula, Joey Yee, Marlin Parker and MoldCraft Bait – Live and rigged skip bait. Our registered name is Sydney Luxury Charters and we have been operating on Sydney Harbour since 1989 with our vessel M.V. “YACKATOON”. NSW Maritime has licensed our vessel to carry up to 34 passengers in enclosed waters (within the harbour) and up to 11 in open waters to sea. Your Skipper and crew hold all necessary certifications and have a lifetime of experience on Sydney Harbour. Their local Game Fishing knowledge will ensure you are given every opportunity to catch that special fish. 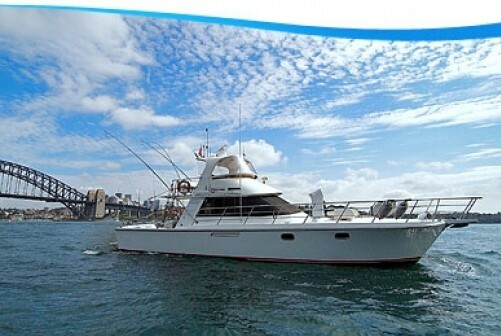 Sydney Luxury Charters are the people to ensure your function, cruise, fishing trip, wedding, secluded escape or corporate event is a memorable occasion on the magnificent Sydney Harbour and surrounds. Catering and fully licensed Bar available or BYO. So if you wish to cruise, tour, fish, explore, spectate, take photos or even get married, we have the vessel, the safety record and the experience to ensure you enjoy every moment on board.